As the holiday season comes to an end, we celebrate with a fresh new year and we do it with a bang! Well actualy several minutes of bangs, shimmers, booms and flashes. Say goodbye to 2014 and celebrate New Year's Eve in Baltimore with your family, friends and significant others under a magnificant spectacle of fireworks! A magnificent New Year's Eve celebration in Downtown Baltimore featuring an amazing fireworks display, live entertainment and much more! A family friendly New Year's Eve event in Baltimore. Light up the night at the 2015 celebration of New Year's Eve in Annapolis, and enjoy enjoy fun festivities with the family including, live music, entertainment and two shows of fireworks in Downtown Annapolis. 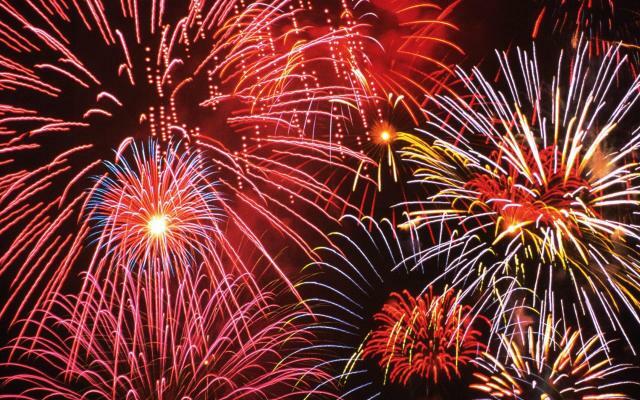 Enjoy New Year's Eve fireworks in Ocean City, Maryland to ring in 2015 and bid farewell to 2014. Along with the midnight fireworks, enjoy a ride through the Winterfest of Lights. The Symphony of Lights in Columbia, Maryland will feature a special family friendly New Year's Eve celebration with Midnight at 7 featuring fireworks, lights and more! Be sure to also check out the Restaurants in Baltimore to find a perfect place for a New Year's Eve dinner before you head out to the fireworks shows.